 We are a cosy, little hotel right next to the beautiful church in Røros. The soul of the mining town Røros, one of only a few of UNESCO World Heritage Sites in Norway, is evident in Erzscheidergården – a building from the 17th century. We welcome you to stay in beautiful surroundings and comfortable rooms – each one with its own uniqueness. We’ll make sure that you’ll enjoy your stay with us, and will help you to plan everything from entertainment to cultural activities. Let us know what you’d like to experience, and we’ll even assist and advise you in finding food that fits your plans – everything based on local produce. We can offer rooms for small and big parties, for up to 50 guests. If you’d like to surprise your fellow travellers with a guided tour through the town or other adventures, we’ll help you to make everything work. We are a small hotel right next to the beautiful church in Røros. Erzscheidergården from the 16th century carries within the soul of the mining town. Here you can enjoy peace and quiet in the middle of ancient wooden buildings in the world heritage site Røros.